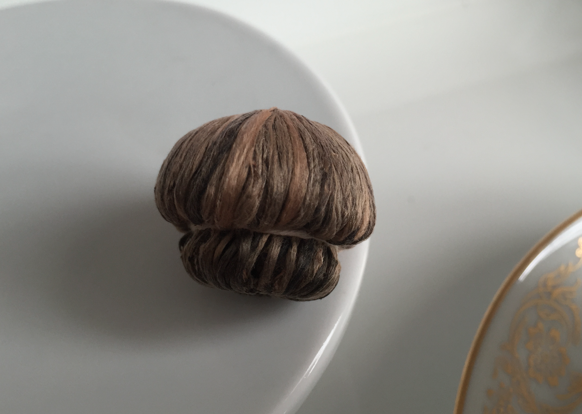 I recently received these really unassuming-looking blossoms as a souvenir gift from Los Angeles, CA. My sweet friend purchased them from Ten Ren. 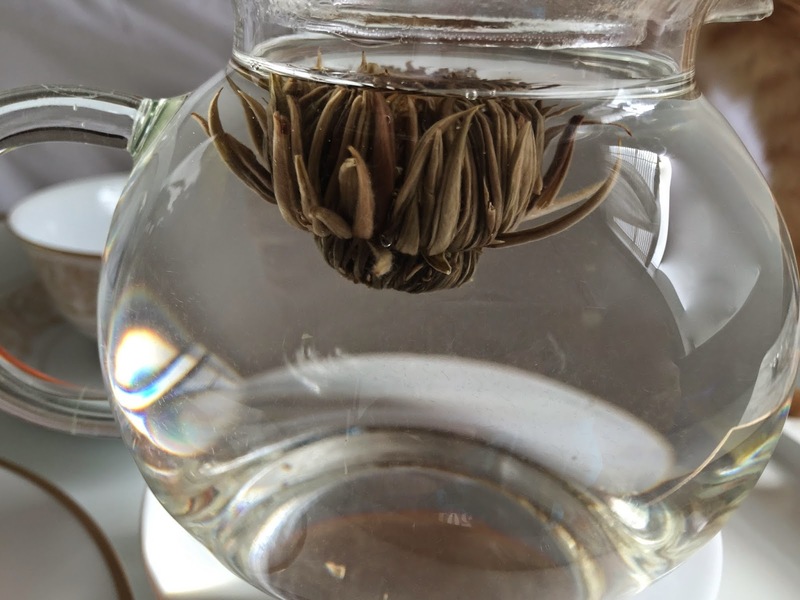 They were unlabeled but I could easily tell they were tightly bound by high quality baihao yinzhen (silver needle white tea). They hardly smell like anything in their dried form. I didn't know which one to try so I just picked one randomly. I just plopped a blossom in hot water and waited. As the silver needle leaves slowly unfurled, tiny osmanthus blooms floated to the surface. It was absolutely enchanting watching the osmanthus. After several of the osmanthus petals escaped the packed leaves, (to my utter delight) the marigolds suddenly exploded from the blossom. Each was carefully preserved and retained such a beautiful color. I was enchanted. I waited a few more minutes before partaking (mainly because I was busy trying to capture as many images as possible). I was less amazed by the smell and taste. I think this is mainly because I don't love marigold tea. It has a slight medicinal (very, very herbal) flavor. 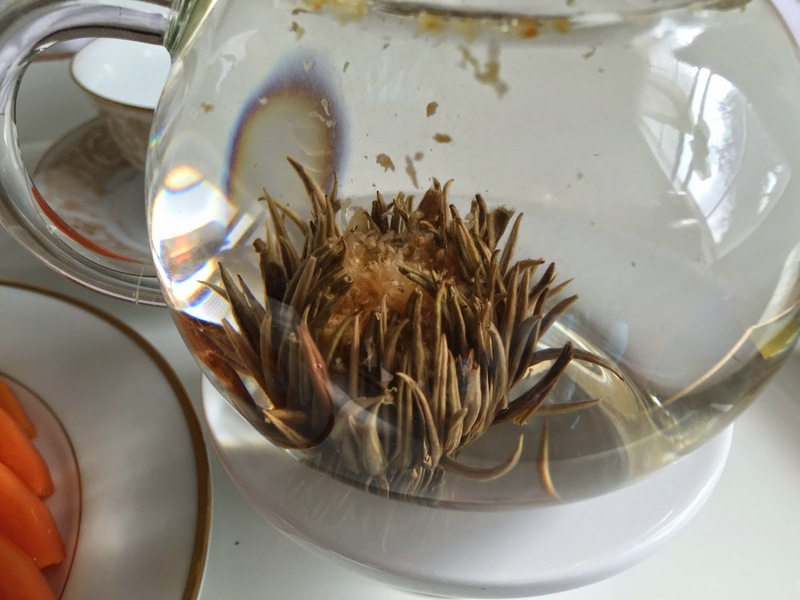 There are very few flowering teas that amaze me with their flavors. 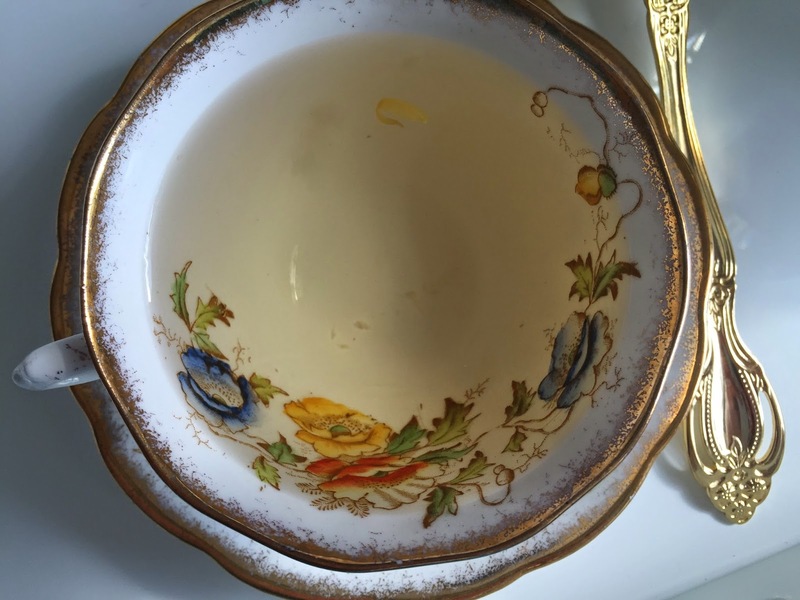 I love the budding jasmine rose tea from Ito En because I really enjoy jasmine silver needle (which is basically what the blossom is). 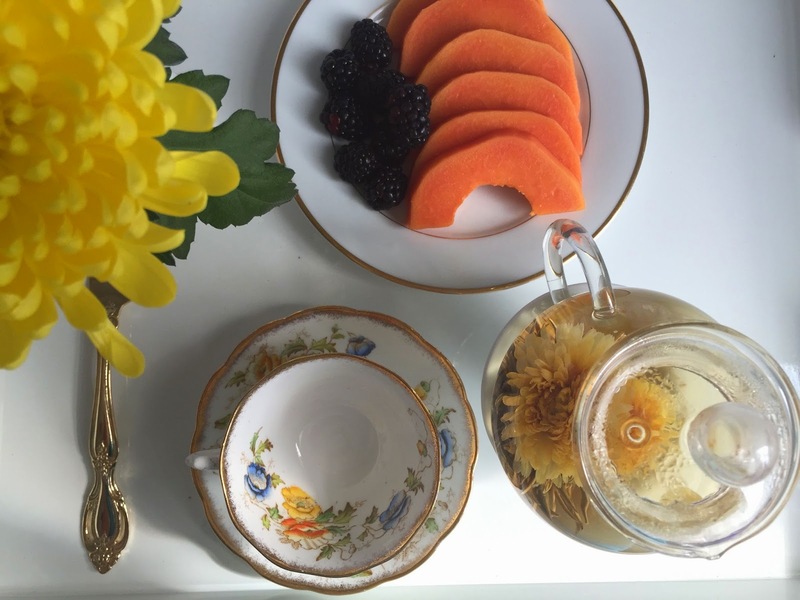 I still think blossom teas are very much fun for watching and would gift them. 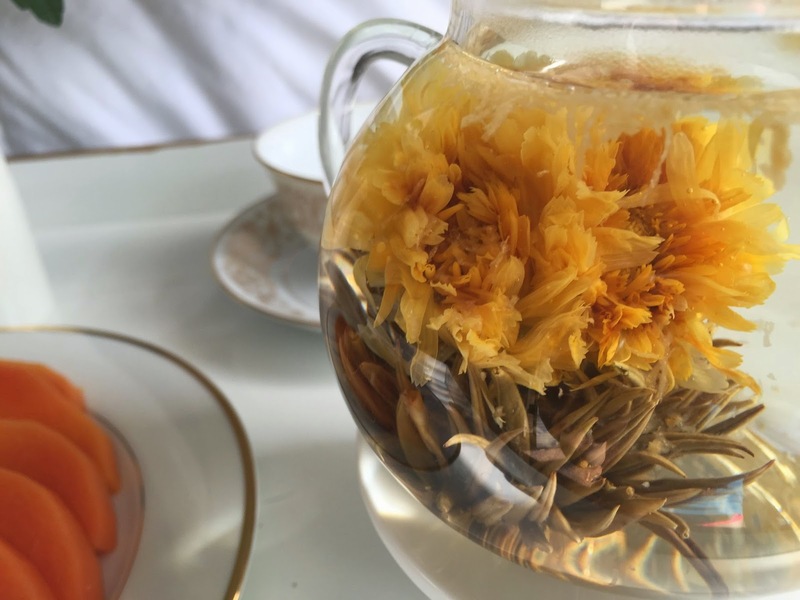 Have you tried any flowering teas? What are your favorites?